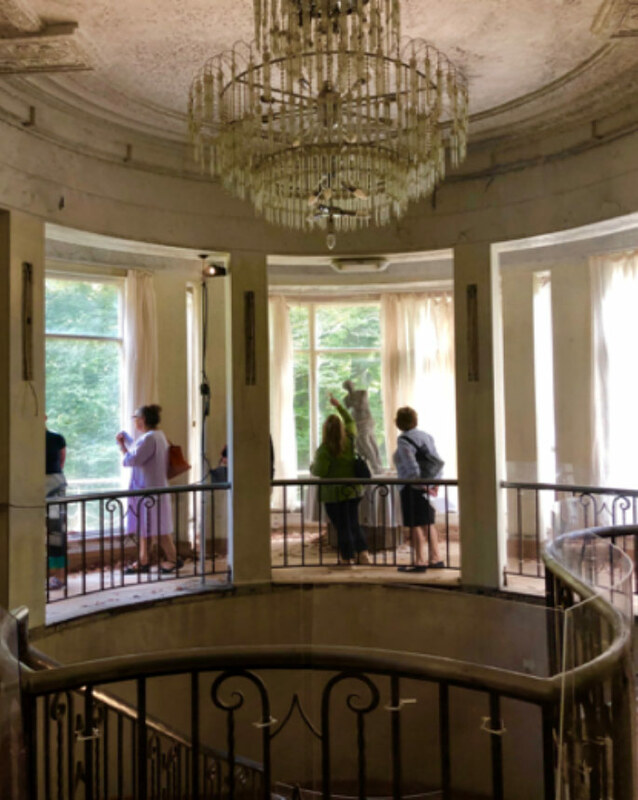 The temporary installation featured collaboration from dozens of staff to develop 12 portraits set across the abandoned interiors of the once grand, 1930’s Art Deco mansion, known as, ’Burnham Beeches’. It is found hidden in the Dandenong ranges, only 40 kms from Melbourne in the Sherbrooke Forest. RONE has re-imagined the mansion’s past, combining his unique approach to portraiture and the art of illusion. 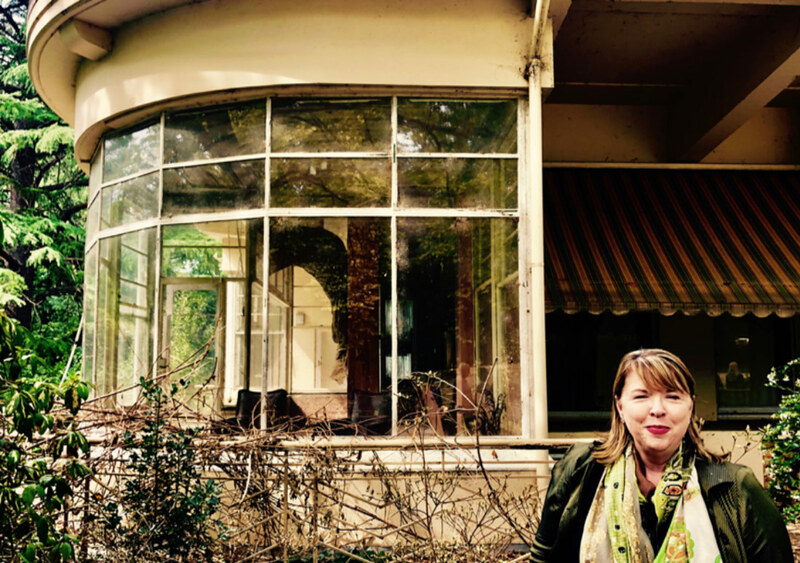 RONE first stumbled on the heritage-listed property ‘Burnham Beeches’ via his friend, chef and entrepreneur Shannon Bennett, whom the property is now owned by. Bennett suggested the idea of temporarily using the mansion for a substantial art installation, as he plans to eventually turn it back into a grand hotel again. The haunting female portraits are based on studies of the Australian actress ‘Lily Sullivan’ part graffiti, part-realist portraiture which cover all the principal rooms in the Mansion. Twelve spaces have had major transformations with the creative input of stylist, ‘Carly Spooner’. Four of the spaces were themed to the seasons. Those of us who remember the elegant ‘Burnham Beeches’ when it was still a hotel, had a very emotional journey revisiting these once beautiful rooms, now in a state of decay. It did prove difficult to accept their current decay and yet it was also impressive to see the depth of ‘creative transformation’ this abandonment allowed. The deserted building, left vacant for more than 20 years, will only be open to the public for six weeks, despite working on the project for almost a year. This current installation, ’EMPIRE’, follows in the tradition of RONE’s hugely successful 2017 collaboration known as ‘The OMEGA Project’. ‘EMPIRE’ was loosely based on a previous installation by RONE. That 2017 project though smaller in size, was also a hugely successful collaboration known as ‘The Omega Project’. For that installation, RONE turned a condemned home in the Melbourne suburb of Alphington, into an ‘I WAS HERE’ art statement. The bedroom walls and corridors were filled with painted filmic images and the dusty home was curated with furnishings that could easily have stepped out of an emotive ‘Wim Wenders’ film. RONE (Tyrone Wright) grew up in Geelong, Victoria, and shifted to Melbourne around 2002. Initially he started decorating skateboards and skate parks, following his interests his art, his work began spreading to the streets and inner-city laneways of Melbourne. RONE has quickly become a cult figure in his own right… a valued ‘Street Artist’ known for his paintings of emotive female faces. RONE’s work is equally at home on the sides of buildings, in alleyways and Silo’s outside of Geelong; yet, it has also found its way to art galleries around the world: Stolen Places in London, Urgan Nation in Berlin and Allouche Gallery, NYC. There are more than 500 individual antique pieces curated by interior stylist ‘Carly Spooner’. They went to liquidation auctions to source tables, chairs and other furnishings for this elaborate and imaginative installation. The EMPIRE project re-imagines the inner spirit of one of Victoria’s landmark mansions, empty since the 1980’s. 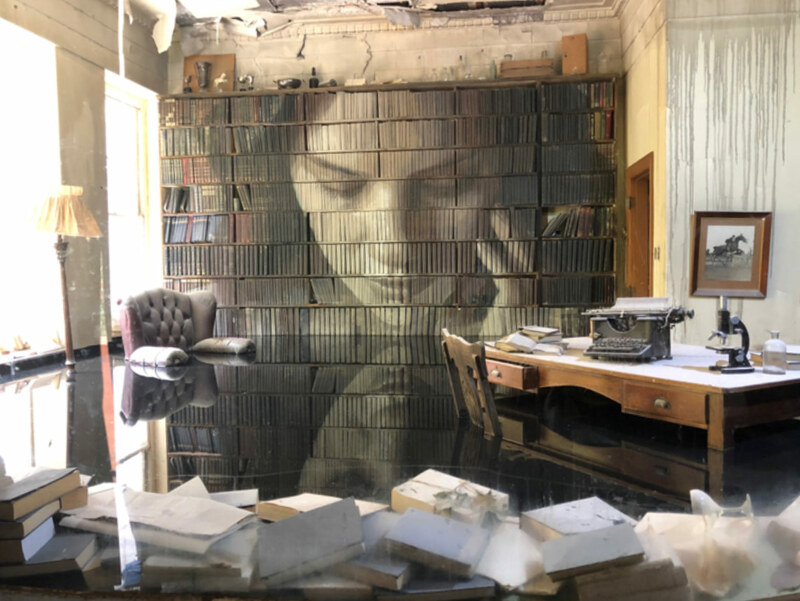 Although the stylists have taken liberties, viewers are invited to consider what remains, the unseen cultural, social, artistic and spiritual heritage of a landmark building; combined with RONE’s vision, a combination that produces layers of emotive, individual meanings. RONE is not disturbed by the fact that much of his artistic work will eventually be painted over, quite the contrary. 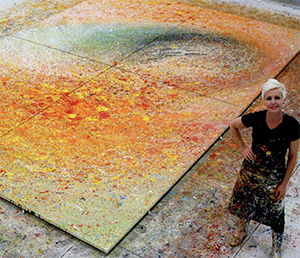 He hopes that his work inspires his audience to find new forms of seeing – what he calls – The beauty in NEGATIVE SPACES. The power and sense of discovery of an art practice that reimagines our past has been cleverly enhanced by RONE’s use of VR, Virtual Reality, to document the project brilliantly for those who want to remember it forever and for those who have missed out on the first-hand experience. Avec Pleasure has been a huge advocate of RONE’s talented art practice for several years. Our AA&C group were very excited to manage to get tickets to this ‘sold out’ installation and to experience first-hand, RONE’s latest, most ambitious project. Viewing ‘EMPIRE’ as a group also allowed us time for meaningful discourse afterwards and a rare opportunity to share the spirit of one of Victoria’s grand mansions before it is transformed into its next adaptation. ‘Burnham Beeches’ as a venue, held many memories for almost everyone in our group, including myself. As viewers, we become part of the installation – the aged layer of memories, experiences added to the new layers of artistic meaning which walks away with us all. Bravo RONE.